Minimum Price £0 p.c.m. £50 p.c.m. £100 p.c.m. £150 p.c.m. £200 p.c.m. £250 p.c.m. £300 p.c.m. £350 p.c.m. £400 p.c.m. £450 p.c.m. £500 p.c.m. £700 p.c.m. £900 p.c.m. £1,000 p.c.m. £2,500 p.c.m. The shop has A1 planning permission which allows a variety of different usages and large windows to the front on a main walkway ideal for advertising or window displays. The property benefits from a shared toilet to the rear and shutters to both entrances for security. This is a fantastic investment opportunity. Bacheler Street, Hull £275 p.c.m. Fantastic one bedroomed self contained flat, located to the rear of the property. The property itself has been recently redecorated and has neutral décor throughout and comprises of a double bedroom, lounge/kitchen area and bathroom. Whether your taking your first steps onto the property ladder or a working professional, this property is suitable. 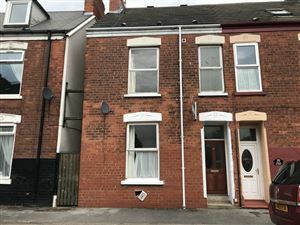 Cholmley Street, Hull £280 p.c.m. Coltman Street, Hull £295 p.c.m. The property comprises of open plan living and kitchen area with cooker supplied. bathroom with white suite and shower over the bath, there is also a double bedroom to the rear of the flat. This is a fantastic property for someone who is wanting to make their first step on the property ladder. Ryde Street, Hull £70 p.w. Fantastic room now available to let, the room consists of a double bed with wooden bed frame and wood bedside table and drawer set and wooden desk with chair modern chair. Modern kitchen with utilities and lounge area with sofa and dining table. The property has neutral décor and utilities included. Edgecumbe Street, Hull £70 p.w. Ground floor double bedroom TO LET one of 4 rooms in this shared property. The Bedrooms is located to the front of the property with bay window furnished with double bed and mattress, wardrobe, shelves, drawers and bedside table. The room is neutrally decorated with carpet to the floors. 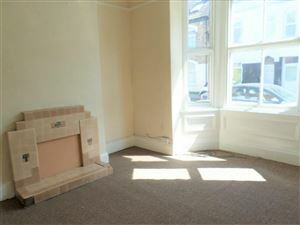 Wright Street, Hull £325 p.c.m. Flat 10, 307 - 311 Carlton House , Anlaby Road £350 p.c.m. Fantastic one bedroom flat located on the outskirts of the city centre. Currently furnished and neutrally decorated throughout, utilities included such as the oven and gas central heating throughout the property. This is a fantastic opportunity for anyone looking to reside near the city centre. 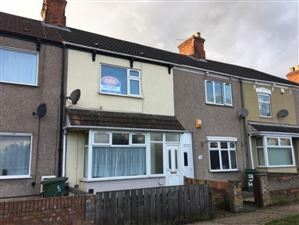 Highfield Avenue, Grimsby £375 p.c.m. Three bedroom family home situated in Grimsby. The property briefly comprises entrance hallway with stairs leading to the first floor, lounge with door through to the modern kitchen, rear hall providing access to the rear exterior and ground floor wet room with bath and separate shower. Field Street, Hull £375 p.c.m. Neutrally decorated two bed terraced property with upstairs bathroom and good sized garden to the rear. This property is within walking distance to the City Centre and would make an ideal home. Boasting a spacious interior with two double bedrooms and contemporary kitchen/diner.